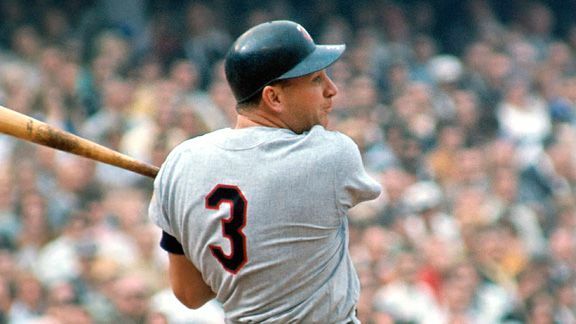 Killebrew hit 40 or more homers in a season eight times, and drove in 100 or more runs in a season nine times. He also was an 11-time All-Star. "Killer" had his best season in 1969, when he hit 49 home runs, knocked in 140 runs and was named the AL MVP. He finished his career wth 573 homers, which is currently 11th on the all-time list.